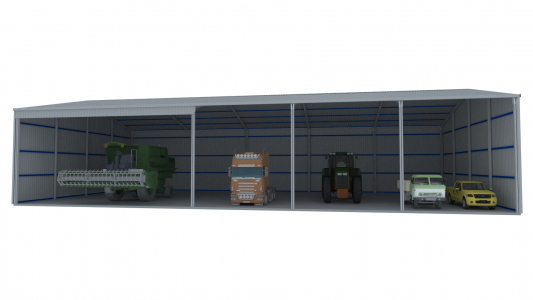 The open front farm shed allows for an easy access – also available in a skillion (flat roof) design. 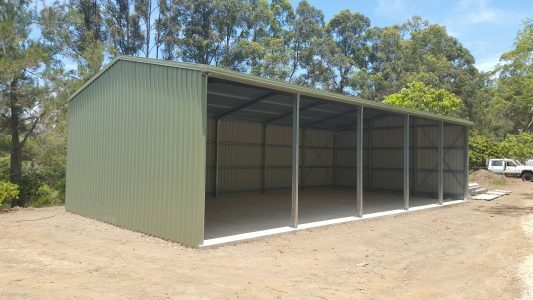 Perfect for storing farm equipment, open front sheds can be classed as machinery storage sheds and might not require council approval* – saving considerable time and money on applications and inspections. Check with your local council or building authority for more information. 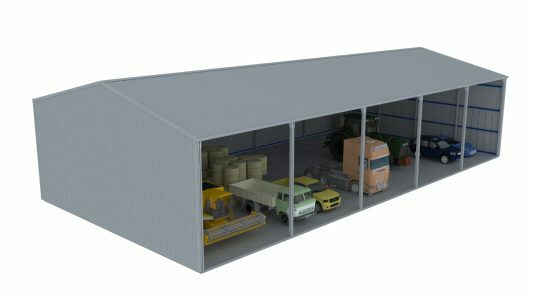 Standard bay sizes range from 3m to 6m. 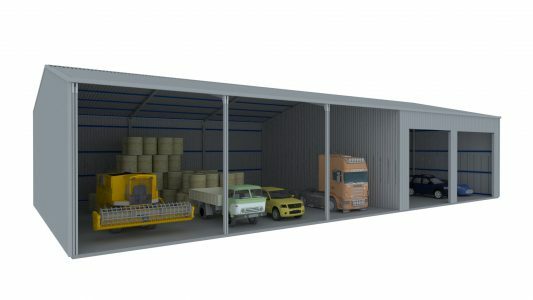 Optional header-beams are also available for a maximum 12m wide opening for large equipment. *Council approval may not be required if structure is more than 200m from each boundary. 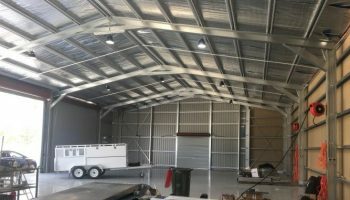 Mecano Farm Sheds use our portal frame system – specifically designed for industrial and commercial applications.